Protect yourself from ID Theft and keep your credit report accurate. Should I Monitor My Credit? Errors are a familiar sight to anyone who has made a credit inquiry before, and while some errors are simply little mistakes, they can cost you in more way than one. Failing to monitor your credit can lead to errors and fraud going unchecked for months and years, and if you are one of the millions affected by identity theft yearly, the damage could be to more than just your credit score. A bad credit score due to minor but fixable errors and fraudulent accounts and balances can keep you from taking out loans, opening new accounts, and using your credit in general. A 2013 survey by TransUnion shows only 1/3 of Americans had checked their credit report that year, a number that has possibly gone up since the Equifax security breach. Either way, that’s a shockingly low amount. In 2015, 12.7 million Americans lost $16 billion dollars to identity theft, in most cases targeting existing credit and bank accounts. By monitoring your credit now, you can take control of your identity and ensure you have the financial freedom in the future to purchase what you please. One of the things we don’t often realize is there are lots of options when it comes to credit monitoring, some expensive and thorough, others free but helpful. Even if you’ve been a victim of fraud in the past, there’s so much you can do now to prevent it from happening again. Not only is a habit of monitoring your credit an essential part of a healthy score, it can help you catch identity theft before it gets out of hand. Even if you’ve never made an inquiry before, there’s no time like the present to start watching over your finances. So, make an inquiry, get familiar with how your credit report works, and maybe consider signing up for a monitoring service while you’re at it! 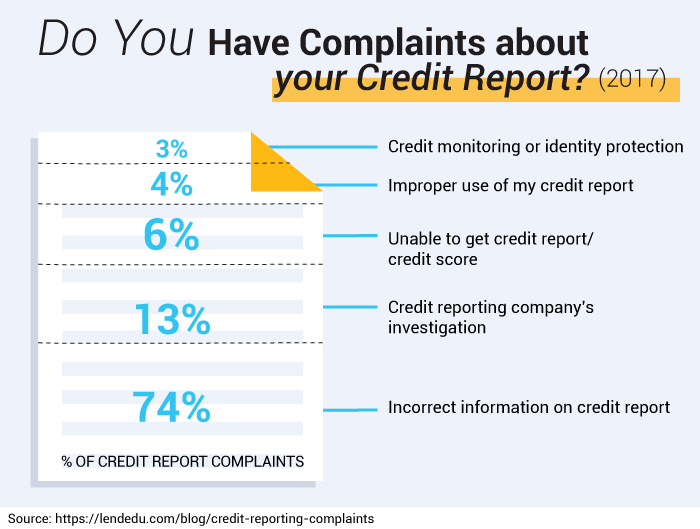 Credit monitoring isn’t rocket science, it’s common sense: keep an eye on what’s in your report and make sure anything fishy catches your attention. Even still, there are a few things to keep in mind if you’re on the lookout for fraud and error. There are a ton of different ways to monitor credit, with just as many outcomes. While the bare minimum involves making an annual credit inquiry, credit bureaus also offer full services you can purchase. Most services offered by credit bureaus will feature different packages with different costs. Meanwhile, some banks and cards will also offer you the ability to make a credit inquiry for a low fee or even free in some cases. If one of the credit bureaus offers to monitor your credit on your behalf for $10 a month but your bank already offers that service for free – even if the bureau’s services include a few extra bells and whistles, it might not justify the extra cost. Cost really is the biggest difference between credit monitoring services. When you have options, the best policy is to know what they are before making a choice – it could save you a couple hundred a year on your quest to keep your credit clean and healthy. There are three big credit bureaus: Equifax, Transunion, and Experian. These credit bureaus all produce credit scores using similar algorithms and similar information. But they are still entirely separate companies and that means just because one produces a squeaky-clean credit report, doesn’t mean the other two will. The only way to be certain you’re in the clear is to check all three. Even if you take all the necessary steps to protect your credit records from being tampered with, if someone already has your information, they can steal your money. Even if your credit is frozen and a fraud alert has been issued (more on this below), nothing short of not paying your phone bill can keep scammers from contacting you. Often, the goal of these scammers is to get any info they don’t already have, and then use that to their benefit, usually by opening credit cards in your name. Getting this sort of info from the unsuspecting victims themselves is called 'phishing'. Scams come in all shapes and sizes. Given the recent Equifax breach, scammers have been using this as a chance to pose as representatives of the credit bureau giant and are usually asking for information to confirm your identity. In the wake of a security breach, not only should you be monitoring your credit more than ever, you should think twice about any emails or phones calls claiming to be from a credit bureau or financial institution. Scams where con artists are specifically pretending to call or email you on behalf of Equifax have been on the rise since their infamous breach.The best policy in this situation is to keep your info under lock-and-key, and contact Equifax yourself if you’re uncertain. There’s a big difference between preventing an accident and reacting to it, and credit monitoring can only ever offer the second option. This doesn’t make monitoring useless, but it’s something you should be clear on – preventing credit fraud and identity theft requires a different set of skills and habits, such as being careful about your privacy. Unfortunately, we live in an age where we hand over our address, card number, and other personal info for the majority of purchases we make. In fact, more than half of Americans prefer to shop online. While that might be more convenient for shoppers, it does mean our personal information is out there more than ever. For the young among us, you may have seen your parents digging through boxes of paper when April comes around. They’re smart to do so – keeping a record is key for keeping your credit clean. Credit reports contain a ton of information that can scare off first-time lookers, mentions Kristin Wong for LifeHacker. But once you learn how to read your report, it can be simple and made easier with a few techniques. One of the best things you can do to make that job easier is to keep old records. That way, when looking for errors, you can compare and highlight anything new that’s popped up. By having an older credit report handy, it can act as a kind of cheat sheet to help you understand what it is you’re looking at. Each time you order your credit report, and you should 3 times a year, keep your report filed away so you can compare data later and catch any anomalies early-on. Unfortunately, this does mean a more paper is taking up space in the home since reports cannot be sent by email – but a little extra paper in your house is better than a little less paper in your wallet! Before we dive into the details of all the credit monitoring options out there, we thought it best to leave a succinct list of useful links in case you already know what service you need or want. Your credit report contains precious information, and anything built on that kind of info must be important itself. That report can carry as much weight as your own name when it comes to your finances. It’s good to take risks in life, but not when it comes to your Social Security number or your credit card – so make sure you’re avoiding these pitfalls below. 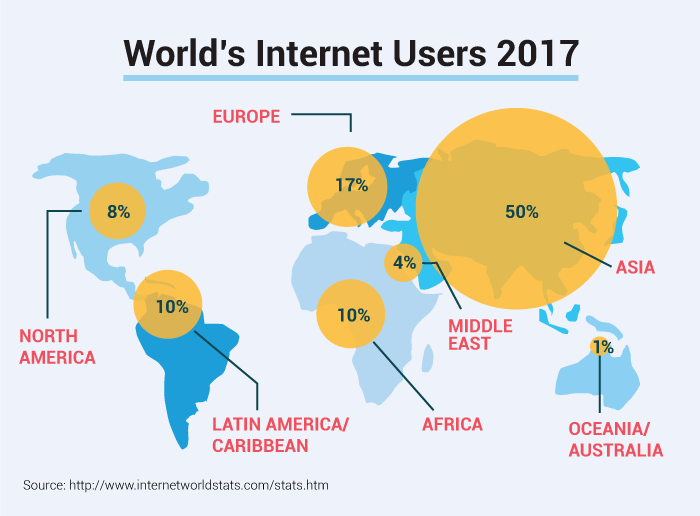 If you’ve ever spent any amount of time online, then you should also be aware of the risks involved with the 21st century’s greatest tool: the internet. It goes without saying the internet offers easy access to people who want your information – it is often called the information superhighway after all. And while it’s smart to use secure web browsing, block cookies, and check privacy settings as often as possible, you should never let your guard down if you can help it. One good tip is when using the internet, stick to sending information over sites with URLs starting with https, instead of something like http – the 's' is for 'secure!' That way you can feel more certain your information isn’t leaking out to prying eyes. When you begin to assume you’re safe, things like monitoring your credit report start to seem less and less important. While you might be fine now, always practicing good habits when it comes to information privacy is essential. This one goes without saying, but we’ll say it anyway – if you have your SSN (Social Security number) on you, that gives would-be thieves extra opportunities to get your information physically. Memorize numbers when possible, and only carry credit cards you intend on using. Of course, some things must be on your person always, like your ID. But even then, make sure it’s snug and secure in your pocket. Even if your wallet is light on those sorts of things, your phone might not be. The same rules apply here as well – mobile banking is incredibly convenient, but avoid any apps that deal with sensitive personal or financial information whenever possible. If you really enjoying checking your balances and accounts from your cell phone, make sure you at least have strong passwords and opt not to have your phone remember you when logging in. The less easy it is for you to access that data, the harder it will be for the bad guys as well. Your FICO score is the most frequent determiner of whether a loan or credit card application gets approved or not. It’s used by roughly 90% of lenders and creditors, but it’s not the only credit score out there. It’s important to understand your FICO score thoroughly, what makes it good or bad, and how you can improve it. FICO, which stands for Fair, Isaac and Company, developed the algorithm used in determining a person’s credit score in 1989, and it’s been in use ever since. Since it is the most relied on credit score, it is arguably the most important one to know, but there are others. More recently, the three major credit bureaus put together a score of their own, called VantageScore. While VantageScore uses a slightly different algorithm to calculate that final number than FICO uses, it relies on the same information and puts similar emphases on the same categories of information. In addition to this, the score your auto loan lender sees is going to be different than the score your bank sees – scores are tailored to different industries. Often though, this score is still just a version of your FICO score, only slightly modified. Lots of services are popping up now that offer free looks at your credit score or even full credit monitoring for no cost. If these aren’t tied to a bank or card you already have an account with, the score you’re seeing probably isn’t your FICO but your VantageScore. The difference between the two has led some people to refer to credit scores other than FICO as 'FAKO,' a combination of the words 'fake,' and, of course, 'FICO.' This doesn’t mean VantageScore, for example, isn’t real, but it’s important to know there is a difference. A FAKO score can still give you an opportunity to track any changes to your credit over time, if the number’s going down or up, there must be a reason, as Kevin Mulligan makes clear at Wealth Pilgrim. That said, the best snapshot of your credit report is going to come from the credit bureaus themselves. After all, that’s where lenders, insurers, bankers, and creditors are getting their information from. Identity theft is incredibly common, and financially affects millions of Americans every year. You’re not alone, even former Federal Reserve Board chairman Ben Bernanke has been a victim. Even people charge with running national economies are vulnerable at times. The next step isn’t panicking or becoming depressed, it’s looking over your tools and options and then taking the proper steps (more on those below) to reclaim lost funds and dispute any damages. And if you haven’t been the victim of fraud or theft, that’s not a reason to necessarily skirt credit monitoring services. Remember, your credit score and history is the first hurdle on all those big future expenses — the car, home, insurance. There’s no doubt it takes extra time and effort to monitor your credit, but it takes a lot less effort to do that then deal with credit fraud going on behind your back. Credit monitoring is a crucial part of financial hygiene – just like brushing your teeth to keep your smile going strong. Just like keeping plaque off your pearly whites, you want to keep fraud and errors off your credit report. Credit monitoring is the backbone to healthy credit, on par with making payments and using credit sparingly, so it’s important to understand what it is and how it can help you. Even if all you’re doing is checking your credit report every few months, that’s still credit monitoring. It can get more complex than that, but it’s important to keep the basics in mind. That said, there are many different services you can enroll in, some free and others not, that offer many different levels of monitoring, protection, and other features. Credit monitoring services don’t just show you your credit history, it also reviews information such as public records and sometimes employment history.Your credit score is built on information about you, so your credit report will reflect that. Public records are any legal document issued by a county, state, or federal government, including birth and death certificates, marriage licenses, divorce decrees, deeds, mortgages, etc. That said, the information you’ll see on your credit report is all financial — after all your birth certificate shouldn’t affect how your credit looks! Expect to see any information regarding bankruptcies, liens, judgments, wage garnishments, child support, and loans. Remember, these are legal documents, if you see a change in information for which you weren’t notified, that should tip you off that something’s wrong. If you rent in NY but have two different mortgages in two different states, that should raise an eyebrow. 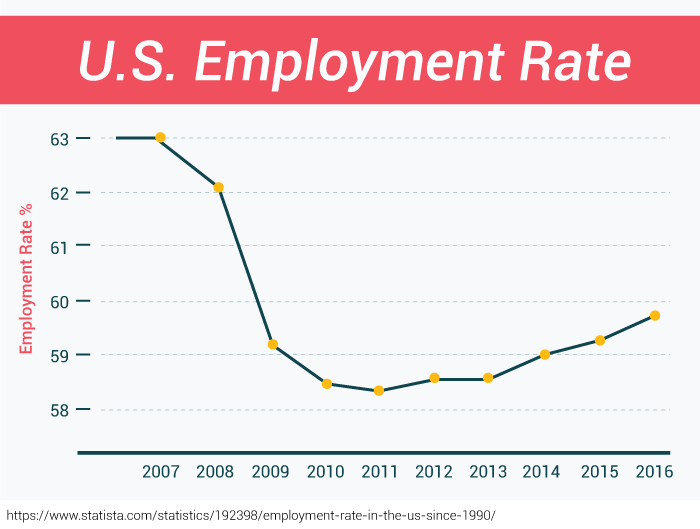 Any employment information included on your latest credit application will come up, but that is the only way the credit bureaus get that info. Your employer doesn’t periodically update your information for your credit report as you continue working there, and neither does the IRS – it only gets updated the next time you apply for a credit card and you add that info yourself. That doesn’t make this information useless though. You can keep an eye out for a boss' name you’ve never heard of or jobs you’ve never worked for example. A credit inquiry can sometimes affect your credit score, so of course, it will be included as part of your final credit report. See a credit pull you didn’t make? Don’t worry just yet, it might be an involuntary pull, where a company checks your credit in order to make you an unsolicited offer, like a pre-approved credit card or a loan service. Anyone who has ever gotten plastic in the mail without signing up for it beforehand has also been subject to an involuntary inquiry – check your report and it’ll be there. The thing to look out for though is voluntary inquiries. If you see a voluntary inquiry, possibly for a loan or credit card, that you didn’t authorize, that’s a red flag. You need a Social Security number to open up a credit card or take out a loan, so if you didn’t authorize a pull, that means someone’s pretending to be you. Check your wallet, how many cards do you have? Now check your credit report, how many accounts do you have? Same goes for bank accounts. Are they not matching up? If they don’t match up, something’s wrong. Make sure to keep your eyes open for any changes in previous account information, as well as new account information that you don’t remember. If you just forgot something was yours, no harm no foul. Have debt lying around? It’s possible your creditor, be it a credit card, mortgage, or phone service provider, has sold that debt off to a collections agency. Look out for any debt you don’t remember seeing in the past, which is easier if you have previous credit reports handy. If you are already in collections, check for activity you don’t remember, including payments, new accounts, and anything else. Again, be careful of any scams you might run into – if you get called by someone claiming to be a collection agency, triple check before you move forward. If your payments are all up-to-date, something suspicious is going on. It’s better to be a day late and a day safe. Credit fraud and identity theft go hand-in-hand, so it makes sense to expect credit monitoring and identity protection to be discussed together as well. But there are some differences you should know about, especially before paying for any services. That means any financial information, including loans, accounts, balances, and collections. Basically, if it’s part of your credit file, it’s subject to credit monitoring. Personal information can be financial, but it can also include public records, addresses, passwords, medical records, and more. Basically, anything that has to do with you, public and private. Personal information is a very inclusive term, and since it includes financial and credit-related information, there can be a lot of overlap where credit monitoring and identity protection are concerned. So long as you have a credit score, you should consider your credit a part of your identity. Some credit monitoring services will offer more in the way of protection against identity theft, while others won’t. So if your goal is only financially oriented, it might be smarter to stick to credit monitoring services rather than full-blown identity protection. One of the most important things about your finances is that they are yours and no one else’s. 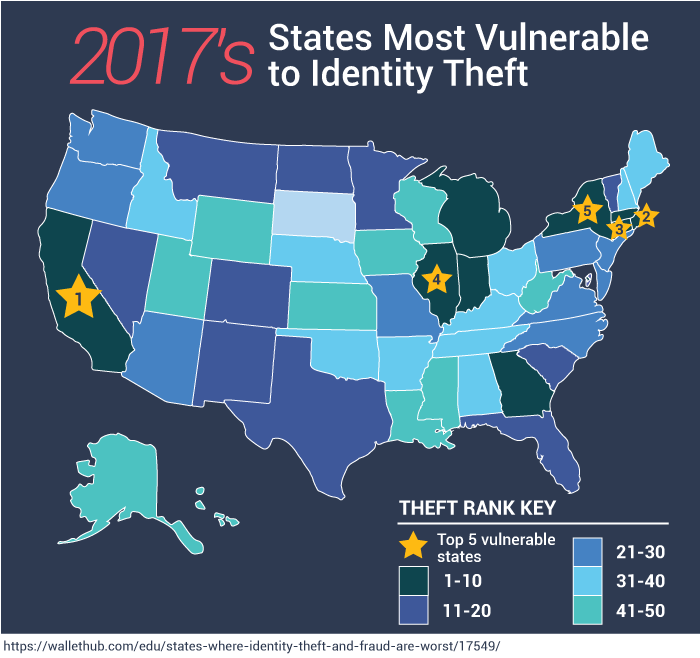 An identity thief’s goal is to make it so that that’s not the case – and given how common identity theft is, it’s probably not that hard to do. But you can fight back, and you should. That’s where credit monitoring comes in! Not only does it help you improve your score by catching any errors, it also exposes fraud that might be going on under your name. 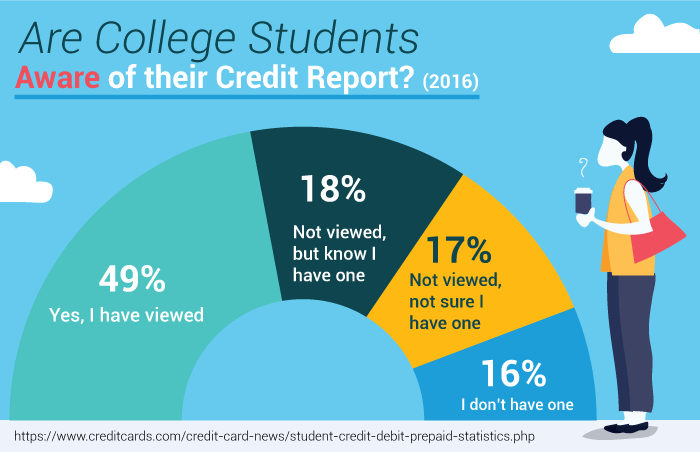 The statistics are enough to make any optimist blue; it’s likely you’ll get hit at some point in your life – but credit monitoring can help you fight back. 46% of Americans have been victims of credit card fraud in the past 5 years. 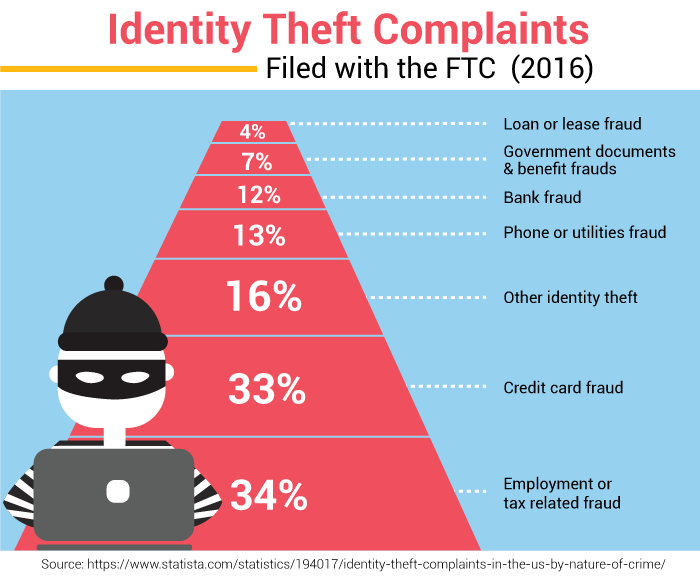 Identity theft is also incredibly common, though this is a term that, unlike credit fraud, can refer to a ton of different instances. Your identity can be stolen from falsified police or medical records, or other elaborate cons where money is not the sole motive. That said, credit fraud is a type of identity theft, and in fact, 80% of identity theft is related to credit or debit fraud. But also, only 14% of victims lose money for which they aren’t reimbursed. It’s true, as most theft is caught via algorithms used by banks and cards to detect abnormal spending. But fraud can still go undetected, especially when the thief opens a new account in your name, as new accounts have no previous patterns of spending to be compared against. In these cases, credit monitoring is key. It’s true, monitoring your credit takes more time than not monitoring your credit at all, assuming you’re one of the few Americans unscathed by identity theft. But this doesn’t mean it has to be a hassle. Even free credit monitoring services actively keep track of your credit report, notifying you when anything strange comes up. This doesn’t mean you shouldn’t also be going over your information yourself once in a while. It’s important to know how to read and understand your credit report, and how to spot what doesn’t belong. For the most part, the convenience comes from the fact that credit monitoring services will notify you when somethings wrong, which allows you to act quickly and know the nature of the problem clearly, even if you’re not very credit-literate. At the very least, even if a service doesn’t give you your FICO score or only focuses on one credit bureau, if it’s free, it usually can’t hurt! As we’ve said a few times already, credit monitoring is not the end-all-be-all when it comes to catching identity thieves; it has limitations you should know about when comparing services. Price alone can be enough to turn someone off, but some services might not check all three credit bureaus, or might not do very thorough checks when it does. Some credit monitoring services can be pricey, ranging from $15-$25 a month, and may not offer much beyond what you could do on your own with free services. Considering most victims of credit fraud do end up getting their money back, such services might not be worth their yearly cost, but that doesn’t mean the services should be ignored, just carefully considered. Still, getting your free annual credit scores, utilizing free service options, checking with your bank or credit card company, and setting fraud alerts regularly might keep your credit just as healthy as an expensive service would. None of the above is an argument against monitoring your credit. Your credit report is a part of your financial identity, so there’s no reason that thieves should be more familiar with it than you are. For example, placing transaction alerts on your credit cards and bank accounts will make sure you are always up-to-date on what’s happening to the accounts you have now, but they can’t protect you from anything thieves have opened themselves in your name. Only a credit inquiry from all three bureaus will allow you the most certain peace of mind – and that goes for people who don’t pay for services and those who do. But credit monitoring is a part of a much larger puzzle when it comes to keeping your identity to yourself. As we’ve said before, monitoring your credit at a bare minimum simply involves checking your credit report for errors and anomalies – and that can be as often as three times a year if you’re not one for spending money. But also as we’ve said before, you have options, and you ought to know them before making any decisions on how to keep your credit report free of fraud and errors. While they aren’t the cheapest option, most of them offer a nice group of features that make monitoring your credit as simple as going online. TransUnion offers a service called TransUnion Credit Monitoring, which allows you to check your credit reports from all three bureaus, the ability to lock and unlock Equifax and TransUnion credit files, and $1 million in insurance. The service goes for $19.95 a month. If you’d like to learn more, you can visit their website. Experian’s services are called CreditWorks Premium, which offers credit reports, FICO scores, monitoring of all the three bureaus, monthly updates, and up to $1 million in insurance. The first month will only run you $4.99, but it’s $24.99 a month after that. If you’re interested, you can find out more info here. Equifax’s service, TrustedID Premier, offers 3-bureau credit monitoring, your Equifax credit report, the ability to lock and unlock your credit file, and $1 million in insurance. The special thing about Equifax’s service is that due to the recent breach, it’s currently free for a year, provided you sign up before the end of January 2018. Even with the low cost of $0 a month, the service still feels very basic. Still, if you’d like to know more, you can click here. Services like IdentityGuard, LifeLock, and PrivacyGuard offer credit monitoring and identity protection for prices usually just below $20. These services usually offer credit monitoring for all three bureaus, but some also include dispute assistance when you spot errors and inconsistencies, as well as protective services to cancel any missing cards when you lose your wallet. Identity Guard is a top choice due to the full-bodied features it offers over competitors. And if your card and bank don’t offer the services themselves, they might have a partner who does, says Alan Henry for Lifehacker. If your bank or credit card already has your back, why pay extra? Cards like American Express, Bank of America, and Barclaycard US all offer a free look at your FICO score, while cards like Citi and Discover offer a look at your credit score even if you’re not a cardholder. By US law, each major credit bureau must offer consumers 1 credit report per year, which means 3 different reports total. Since you can order one per credit bureau, this offers you 2 possibilities: either you order 1 from a different bureau every four months, or order all 3 at once so you can compare them and spot any inconsistencies and errors. We suggest the former because staggering your checks will give you a more in-time status check if anything is off with your report. You can request your free annual inquiries from annualcreditreport.com. Make sure not to request your annual report from anywhere else! Other sites may legitimately offer your credit score for free, but avoid any pretending to be the website linked to above. As we mentioned above, you don’t even have to be a cardholder at Discover to have a look at your FICO score. If there weren’t already enough reasons to like Discover, here’s another one. If you’d like to see your free FICO score now, click here and get to checking! Most credit monitoring services notify you when there’s a problem, but that doesn’t mean the problem just goes away. Sometimes it’s up to you to figure out how to take the proper steps and use the right tools to stop identity thieves in their tracks, and maybe even sweep up after they’re gone. While plenty of credit cards use algorithms to catch suspicious spending the moment it happens, transaction alerts can add an extra layer of safety. Signing up for transaction alerts is really simple too – just go to your card’s website, manage your account, and set up the alerts. It will be slightly different card to card, but it can all be done over the internet and through your account settings. By law, you can request a 90-day fraud alert at no cost to you. You’ll notify one of the credit bureaus, and they, in turn, notify the other two. A fraud alert tells companies, lenders, and creditors to be extra cautious and contact you when an account is being opened or a loan is taken out in your name. After the first 90 days are up, you’re free to renew the fraud alert indefinitely. There are three different kinds of fraud alerts — initial, extended, and active, and they can all be set up online or by phone. An initial fraud alert can be set at any time by anyone, and comes with a free copy of your credit report from each of the bureaus as a nice perk! By contrast, an extended fraud alert can only be set up by those who have already been victims of identity theft and can prove it – such alerts will last up to 7 years. The important thing to keep in mind is that a fraud alert can always be renewed once it ends. Since it’s free and offers an extra layer of protection to your credit report, why not place one? You can set up a fraud alert for either Experian, Equifax, and TransUnion, all online. If you’d like to call, the numbers are 888-397-3742, 800-525-6285, and 800-680-7289 respectively. If you’ve recently been the victim of identity theft or fear you might be in the wake of a security breach or misplaced ID, freezing your credit can be the way to go. A credit or security freeze is when your credit is completely locked down, which means only the government and existing creditors can make inquiries into your report. No one’s lending credit to someone whose file they can’t pull, and that means would-be thieves aren’t opening any new accounts – they won’t even have a chance to. A freeze is placed by contacting a bureau directly and usually paying a fee of roughly $5-$10 per freeze. A freeze only affects the bureau where it was placed, which means each bureau will have to be contacted and a separate fee must be paid, which can add up. The fee can be waived if you can prove you were a victim of identity theft, either through an affidavit, or a police report, which you can get online. Despite what a powerful tool credit freezes can be, most people don’t consider them when they’re looking to protect their credit more seriously, says Brian Krebs at Krebs on Security. For the extra cautious, if you’re not someone looking to take out a loan or new line of credit anytime soon, you can use a credit freeze to protect your report even if you aren’t expecting anything to happen to it. When your credit’s frozen, it’s next to untouchable. If you want to freeze your credit, it’s best you do it with each credit bureau, which can all be done online or by phone: TransUnion (1-888-909-8872), Experian (1-888-397-3742), or Equifax (1-800-349-9960). At the moment, Equifax is offering free credit freezes until the end of January 2018, which can be a nice way to keep any of the immediate aftermath of the recent security breach off your back. If you decide you do want to open a new line of credit or take out a loan, you can thaw your freeze by contacting the bureaus and requesting pins. Thaws take about a day, and in some states, you can request a temporary thaw for a small fee. One possible strategy if you’re looking to open a new account while a freeze is in place is to ask the creditor or lender what bureau they use to make an inquiry. Depending on which one they use, you can just thaw that one temporarily during the check. Once the dust has settled, some items might stick around your credit history even though they don’t really belong there. In this case, you want to write to each of the credit bureaus and argue that a mistake has been made, either an unintentional error or remnants of full-blown fraud and that the item doesn’t belong on the report. These letters are best handwritten. When writing these letters, it’s best to use a sample dispute letter and request a return receipt so you know when the bureaus have accepted the letter. The bureau then has 30 days to investigate the claim, after which it will write a response alongside an up-to-date report. My Social Security card was stolen. What do I do from here? Misplacing and, worse, having your Social Security card stolen from you can be one of the easiest pathways to becoming a victim of identity theft, and unfortunately, there is no fix-all solution for this one. If your card is missing or stolen, you’ll need to contact each of the three credit bureaus directly, tell them your SSN has been stolen, and that you’d like to place a fraud alert. It’s smart to report the theft to the IRS (1-800-908-4490) and the Federal Trade Commission (1-8777-IDTHEFT) as well. The more agencies aware of it, the better off you’ll be in the future. If it really has been stolen, also contact the police because you are a victim of identity theft, and get ready to start watching your credit more closely than ever. You’re now a lot more vulnerable than ever before, and that means you need to be more careful. If you do end up facing pretty serious identity theft, you may ask for a new SSN, but be aware, they’re not easy to get, and it doesn’t make the old one go away. What criteria should one use for comparing credit monitoring services? There are many different ways to monitor credit, and so it’s possible that one size won’t end up fitting all, but when comparing services there are a few things to keep in mind. 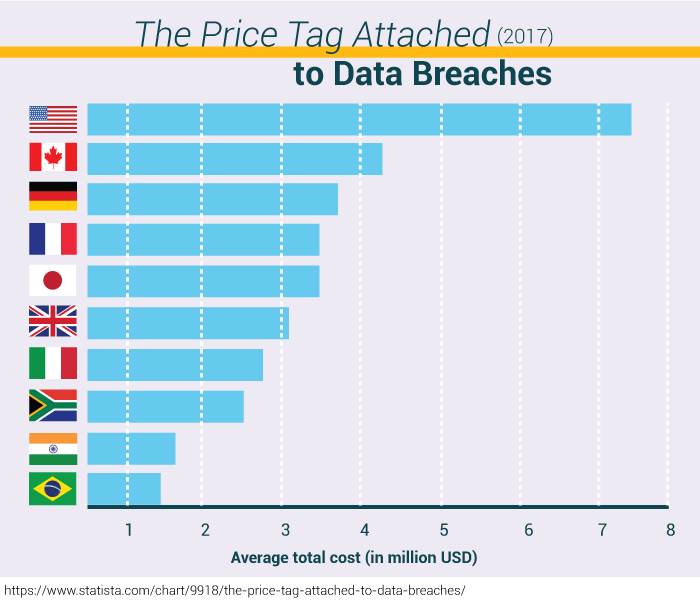 Cost is probably the most important criteria to watch out for, considering that one of the goals of credit monitoring is to keep your money yours. If your spending more protecting your money than what you’d be at risk losing than there’s not much point in spending that much money. This is important to consider when most victims of identity theft are reimbursed by their bank or card, and those that aren’t rarely lose more than $100. Considering most services cost $20, you’d have to be a victim of identity theft a few times a year for it to make sense. But if you set on protecting your credit with a paid third party’s help, it helps to compare features. While most monitoring services offer very similar features, there might be a few differences that make or break your decision. Features can include help disputing items, different types of fraud monitoring (non-credit fraud, like medical ID fraud), and smartphone apps for added convenience. Also, make sure whatever service you go with, it monitors all three major bureaus. If it fails to do that, chances are good it’s not worth the money. Take the first step to keeping a closer eye on your credit by ordering a free report. Credit monitoring can keep your finances safe and your credit score where it ought to be, and with all the different ways you can go about it, there’s no reason to wait! If you’re not convinced a paid service is for you and haven’t ordered your annual credit report yet, start there. When it arrives, look for any errors or suspicious items, and then place an initial fraud alert for a little extra safety. Other easy places to start is by making sure all your credit cards have transaction alerts set up. If you were affected by the Equifax security breach, as many Americans were, it might not hurt to freeze your credit either.